Lars Haugen was a top ski jumper in Norway and in the United States for over 15 years. He later became a leader in developing skiing in the Lake Tahoe area of Northern California. Lars Haugen was born in Bo, Telemark, Norway in 1891 and immigrated to the United States when he was eighteen years old. He settled in Minneapolis, Minnesota after brief stays in Red Wing, Minnesota and Chippewa Falls, Wisconsin. He was a top ski jumper in his youth in Norway and continued his winning ways after settling in this country. Beginning in 1912 Lars won nearly every title including: big wins at the Norge Ski Club events in 1912, 1918 and 1922, the Brattleboro, Vermont meet in 1924, the Denver, Colorado jump in 1927 and the Red Wing, Minnesota meet in 1928. In 1919 he held the national of 214 feet, set at Steamboat Springs, Colorado and was National Class “A” Champion in 1912, 1915, 1918, 1922, 1924, 1927 and 1928. In 1933, at age 42, Lars married. After a brief honeymoon at the Chicago World’s Fair he and his bride, Cora, headed west to Lake Tahoe where he and Jack Miner of Truckee, California helped organize the Western ski clubs. 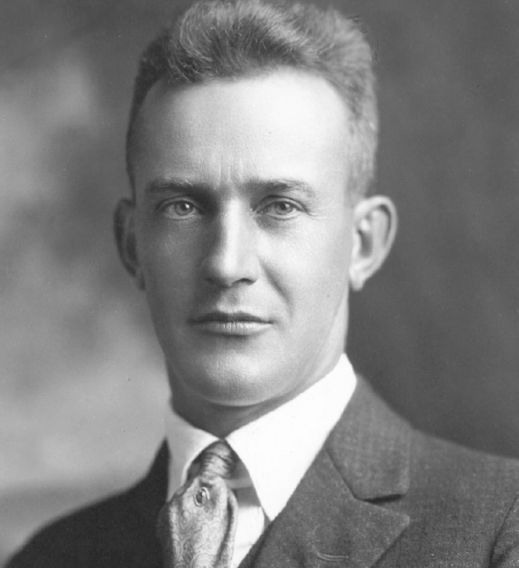 After a year of organizing the West they returned to the Minneapolis area where Haugen was chief inspector for Northland Ski Company at Midway, Minnesota. Although his older brother, Anders, was a two-time Olympian, Lars never skied on a United States Olympic ski team. He turned pro in 1924 and wished to head west to compete professionally. On his recommendation, Anders was chosen to replace him. In 1929 Lars Haugen and his brother established themselves at Tahoe City, California where he directed the construction of the 60 meter hill known as Olympic Hill, built in anticipation of Tahoe City’s bid for the 1932 Olympics. Unfortunately the hill was little used as the Olympics were awarded to Lake Placid, New York. Lars and Anders Haugen were the ski leaders of their era who were directly responsible for the ski boom in the Lake Tahoe – Northern California area which led to the establishment of Squaw Valley some 30 years later. Lars Haugen settled back in the Minneapolis area after retiring from skiing and died there in 1969. Lars Haugen was elected to the U.S. National Ski Hall of Fame, along with his brother, Anders, in 1963. If you notice any errors or inconsistencies in Lars Haugen's bio, click here to let us know.